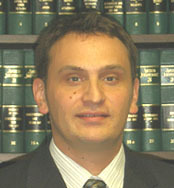 A public reprimand and two years of probation is an appropriate sanction for a lawyer who fails to comply with the terms of a stipulated probation agreement, fails to properly maintain client trust account books and records, and fails to cooperate with an investigation by the Office of Lawyers Professional Responsibility. 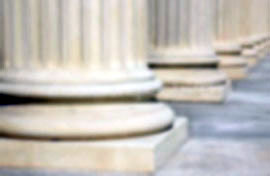 Basic fairness favors reinstating a stipulated probation agreement when a Lawyers Professional Responsibility Board member fails to comply with the Rules on Lawyers Professional Responsibility governing the referral of a lawyer�s disciplinary matter to a board panel following a complainant�s appeal of the agreement. Following multiple admitted violations of the Minnesota Rules of Professional Conduct, respondent lawyer Q.F.C. entered into a stipulated probation agreement with the Director of the Office of Lawyers Professional Responsibility. A complainant who reported one of the violations appealed the stipulated probation disposition. The Director assigned a Lawyers Professional Responsibility Board member to review the appeal, and after reviewing Q.F.C.�s file, the board member instructed the Director to issue charges of professional misconduct for submission to a board panel. The panel in turn instructed the Director to file a petition for public discipline. We then referred the matter to a referee. The referee recommended a public reprimand and two years of probation, stayed for two years, and a private reprimand and a reinstatement of the previously stipulated probation. The Director challenges the referee�s recommendation as to the stay, arguing that a public reprimand and two years� probation is the appropriate sanction. Q.F.C. argues that the recommended sanction is appropriate in light of an alleged procedural error that the reviewing board member committed in referring his matter to the board panel. We decline to adopt the referee�s recommendation and instead order that effective immediately, Q.F.C. is subject to the terms of the stipulated probation agreement that he and the Director originally reached. The relevant facts divide naturally into three topics�probation violations, client matter, and lawyer discipline procedure�and are set forth accordingly. On September 26, 2002, the Director of the Office of Lawyers Professional Responsibility placed respondent lawyer Q.F.C. on private probation for two years for failing to deposit client funds in his client trust account. As a condition of probation, Q.F.C. was required to submit trust account books and records to the Director on a quarterly basis. Beginning in January 2004, Q.F.C. failed to meet this requirement in a timely and diligent manner. For example, Q.F.C. submitted incomplete books and records for the third quarter of 2003. According to a letter the Director sent to Q.F.C., Q.F.C. had, among other things, failed to maintain subsidiary ledgers for interest and personal funds as required, improperly credited trust account interest to one client�s ledger, and failed to reconcile the trust account with bank statements. The Director enclosed a sample reconciliation report for Q.F.C. to use in preparing future reports. Despite the Director�s guidance, Q.F.C. continued to submit incomplete books and records. As a result, the Director sent another letter notifying Q.F.C. that he had failed to provide his check ledger for a certain period, his reconciliation report, and copies of his checks and deposit slips for the client trust account. The Director enclosed some educational materials regarding the proper maintenance of a client trust account and instructed Q.F.C. to provide the missing documents within one week. Q.F.C. apparently submitted the documents within the one-week deadline. Two months later, the Director sent a letter notifying Q.F.C. that his books and records for the most recent quarter appeared to be complete and properly reconciled, but that a subsidiary ledger for one of his clients carried a negative balance. The Director noted that such negative balances were improper and directed Q.F.C. to deposit an appropriate amount into the account and to record future bank charges in a subsidiary ledger. The Director also noted that Q.F.C.�s subsidiary ledgers lacked running balances, and told Q.F.C. to utilize Q.F.C.�s computer software to create a more functional ledger. In the same letter, the Director asked Q.F.C. to submit complete and properly reconciled books and records within one week. Q.F.C. did not comply until five weeks later, after the Director sent another letter instructing Q.F.C. to immediately submit the required documents. Q.F.C. then submitted the trust account books and records. After reviewing these documents, the Director again wrote to Q.F.C. to notify him that the documents appeared to be complete, but were not properly reconciled. The Director enclosed some educational materials on the proper use of spreadsheet software and instructed Q.F.C. to review the materials and to set up his subsidiary ledgers properly. Q.F.C. missed the submission deadline for the next quarter�s reports by six weeks, and the Director sent a letter requesting that Q.F.C. immediately provide the reports. When Q.F.C. failed to respond within three weeks, the Director sent a follow-up letter, again requesting that Q.F.C. provide the required reports �immediately.� In this second letter, the Director informed Q.F.C. that his probation could not end on September 26, 2004 as scheduled, unless the Director received the required documents. On September 27�nearly three months after the Director�s first request�Q.F.C. submitted the reports. Shortly thereafter, the Director sent a letter to Q.F.C. stating that the last quarter�s books and records were again incomplete and did not reconcile. The Director noted that Q.F.C. had, among other things, failed to provide a subsidiary ledger for interest, failed to provide running balances on subsidiary ledgers as the Director had twice requested, and failed to properly reconcile his books and records. In the letter, the Director asked Q.F.C. to attend a meeting with the Director and to bring with him certain documents related to his client trust account. Q.F.C. did not appear at that meeting. After Q.F.C. was placed on private probation but before his compliance with the probation terms began to falter, he accepted a nonrefundable retainer of 8 from C.E. to represent an incarcerated criminal defendant, hereinafter identified as Jones. C.E. retained Q.F.C. to research postconviction relief that might be available to Jones. Several weeks passed without any contact between Q.F.C. and C.E., and C.E. telephoned Q.F.C. to inquire about the status of the case. Q.F.C. did not answer this call. C.E. made several subsequent attempts to reach Q.F.C. by telephone, but he did not answer any of these calls. Q.F.C. never contacted Jones to discuss his case. Approximately 11 weeks after C.E. retained Q.F.C., Jones sent Q.F.C. a certified letter asking him for a progress report. Q.F.C. did not respond. At some point during the following 15 months, Jones filed a complaint with the Director. The Director sent Q.F.C. a notice of investigation regarding the complaint. The notice required Q.F.C. to respond within 14 days. Q.F.C. did not respond, and approximately one month later, the Director again wrote to Q.F.C. demanding an immediate reply. Again, Q.F.C. did not reply. Approximately one week after sending the second letter, the Director telephoned Q.F.C. and left a voicemail message. Q.F.C. did not reply to the message. Q.F.C. then failed to appear at the meeting the Director called to discuss Q.F.C.�s trust account books and records as well as Jones�s complaint. Q.F.C. ultimately attended a prepanel hearing, at which he admitted the violations described above. The Director asked whether Q.F.C. had ever considered seeing a counselor or therapist, and Q.F.C. responded that he had been seeing a psychiatrist for a number of years. At the end of the prepanel hearing, the Director asked Q.F.C. to send a letter to Jones within one week and to sign a release authorizing the transfer of certain documents from Q.F.C.�s psychiatrist to the Director. Shortly after the prepanel hearing, Q.F.C. completed his research on the Jones matter and sent Jones a letter summarizing his conclusion that Jones had no �colorable� postconviction claims. Q.F.C. also requested that his psychiatrist send a letter to the Director, providing the information the Director requested. Q.F.C. subsequently entered into an agreement with the Director for two years of private probation, apparently as a result of his completing the foregoing tasks. As required by Rule 8(d)(3)(i), Rules on Lawyers Professional Responsibility (RLPR), this agreement was approved by the Lawyers Professional Responsibility Board chair. The agreement terms called for quarterly meetings with a supervising lawyer and for the private probation to end in September 2006.
in any case that has been investigated, if the Board member concludes that public discipline is warranted, the Board member may instruct the Director to issue charges of unprofessional conduct for submission to a Panel other than the Board member�s own. The board member sent a letter to Jones and C.E., stating, �Based upon my review of [Q.F.C.�s file], I direct that this matter be submitted to a Lawyer�s Board Panel to determine whether public discipline is warranted.� The board member�s letter contained no information as to why she decided to submit the disposition of Q.F.C.�s matter to a panel rather than taking one of the other actions allowed under the RLPR. A panel hearing was held, and the panel instructed the Director to issue a petition for public discipline. Accordingly, the Director issued a petition seeking a public reprimand with probation, and we assigned a referee to hear the matter. At the referee hearing, Q.F.C. acknowledged the existence of probable cause for public discipline, but argued that Jones�s appeal of private probation was not �properly perfected� and the resulting petition was �fundamentally unfair� because the reviewing board member submitted the disposition to a board panel without setting forth an explanation for her decision as required under Rule 8(e), RLPR. The Director essentially responded that the procedural error, if any, was not relevant to the referee�s determination as to whether the petition for public reprimand and probation should be granted. that [Q.F.C.] be publicly reprimanded and that he be placed on probation for a period of two years. It is further recommended that the public reprimand and two years probation be stayed for two years and [Q.F.C.] receive a private reprimand and be re-instated on probation for two years on those terms previously agreed to by the parties. Any failure to comply with those terms by [Q.F.C.] shall result in the stayed discipline taking effect. The Director appeals the referee�s recommendation, arguing that a public reprimand and two years� probation is the appropriate sanction for Q.F.C.�s misconduct and that the recommended two-year stay of this sanction is improper. The Director timely requested a transcript of the referee�s hearing and consequently, the referee�s findings of fact and conclusions are not conclusive. Rule 14(e), RLPR. But we will not set aside the referee�s findings or conclusions unless they are clearly erroneous. In re Peterson, 718 N.W.2d 849, 853 (Minn. 2006). In this case, neither party disputes the referee�s conclusions that Q.F.C. violated Minn. R. Prof. Conduct 8.1(a)(3), 1.3, and 1.4, and the record supports these conclusions. Accordingly, we turn to the issue of whether the sanction the referee recommended is appropriate in the context of this case. We give great weight to the referee�s recommendation, but we retain final responsibility for determining the appropriate sanction. In re Ruffenach, 486 N.W.2d 387, 390 (Minn. 1992) (citing In re Simonson, 420 N.W.2d 903, 906 (Minn. 1988)). Our goals are not to punish the lawyer, but rather to guard the administration of justice and to protect the courts, the legal profession, and the public. Id. While consistency is a goal, we examine each case individually and impose the discipline we believe appropriate based on the unique circumstances of each case. Id. (citing In re Gubbins, 380 N.W.2d 810, 812 (Minn. 1986)). To determine appropriate sanctions, we consider our prior disciplinary decisions, any aggravating or mitigating circumstances, and the following four factors: (1) the nature of the misconduct; (2) the cumulative weight of the disciplinary violations; (3) the harm to the public; and (4) the harm to the legal profession. In re Edinger, 700 N.W.2d 462, 468 (Minn. 2005) (citing In re Moore, 692 N.W.2d 446, 450 (Minn. 2005)). A review of our case law reveals that it is not unusual for lawyers who commit violations similar to those Q.F.C. committed to receive public discipline, including two years of probation. See In re Schumack, 655 N.W.2d 637 (Minn. 2003); In re McCann, 652 N.W.2d 700 (Minn. 2002); In re Johnson, 652 N.W.2d 703 (Minn. 2002). Like Q.F.C., the lawyer in each of the foregoing cases failed to comply with the terms of a probation agreement. Also like Q.F.C., the lawyers in McCann and Johnson, respectively, failed to promptly respond to correspondence from the Director and failed to cooperate with the Director�s investigation of a complaint. 652 N.W.2d at 700-01; 652 N.W.2d at 703. Further, in both Schumack and Johnson, the lawyers, like Q.F.C., neglected client matters. 655 N.W.2d at 638; 652 N.W.2d at 703. Only one of these cases�Johnson�appears to involve dishonesty; the other two cases involve the same basic type of misconduct Q.F.C. committed�namely, failure to meet probation requirements, client neglect, and failure to cooperate with the Director. Q.F.C. does not dispute the fact that in light of our case law, public discipline is a justifiable sanction. He nonetheless argues that public discipline would be unjust based on (1) several facts that correspond with the four factors we articulated in Edinger; and (2) the board member�s procedural error. With regard to the first Edinger factor�the nature of the misconduct�it is apparently true that as Q.F.C. asserts, he has never �been dishonest or misleading about * * * any client matter.� But this assertion is not particularly helpful to Q.F.C. in light of Schumack and McCann. In each of these cases, a lawyer was subject to public reprimand and two years� probation despite the fact that the lawyer apparently never denied or was dishonest or misleading about his misconduct or any client matter. 655 N.W.2d at 638; 652 N.W.2d at 700-01. Q.F.C. also asserts that the matters now before us comprise �the entirety of [his] disciplinary history,� and that although the misconduct at issue was not isolated, most of the violations happened during a single three-month period. These assertions correspond to the second Edinger factor�the cumulative weight of the disciplinary violations. But the fact that Q.F.C. committed numerous offenses while already on probation for a prior act of professional misconduct tends to undermine his argument. Moreover, after the Director clarified what was expected and provided Q.F.C. with relevant resources, Q.F.C. repeatedly committed certain violations with regard to his trust account books and records. Finally, Q.F.C. sets forth a number of facts that pertain to the third and fourth Edinger factors, which respectively concern the harm caused to the public and to the legal profession by the lawyer�s misconduct. For example, Q.F.C. argues that although Jones did not receive legal services in a timely manner, Jones was not prejudiced�apparently in light of Q.F.C.�s conclusion that Jones had no viable postconviction claims. Q.F.C. also emphasizes that he has no client contact in his current position, maintains no private practice but for the occasional client, and has no intention of maintaining a client trust account in the future. The implication of the foregoing facts is that a public reprimand is unnecessary to prevent harm to the public and the legal profession. To the extent that supervised probation with or without a public reprimand would protect any clients Q.F.C. might represent, it is arguable that a public reprimand is not required to prevent harm to the public in this case. [s]ince lawyers are granted a monopoly to perform legal services for hire, they, like all monopolies, must be subject to strict regulation with respect to admission to practice and to the performance of professional services, as well as to public accountability for adherence to * * * standards of professional responsibility. 345 N.W.2d 224, 228 (Minn. 1984) (internal quotation omitted). In light of our case law and, specifically, the four factors we articulated in Edinger, we conclude that under ordinary circumstances, a public reprimand and two years of probation are an appropriate sanction for Q.F.C.�s misconduct. Accordingly, the referee�s recommendation for a stay of this sanction would be inappropriate but for the board member�s alleged procedural error and Q.F.C.�s related arguments on fairness. Therefore, we must address whether a procedural error was committed in the referral of Q.F.C.�s matter to a board panel and, if so, what impact the error has on the sanction Q.F.C. should receive. The referee apparently concluded that the reviewing board member committed a procedural error in referring Q.F.C.�s matter to a board panel. We review this conclusion de novo because it rests on an interpretation of Rule 8(e), RLPR. Cf. Lennartson v. Anoka-Hennepin Indep. Sch. Dist. No. 11, 662 N.W.2d 125, 129 (Minn. 2003) (stating that the �scope and application� of the Minnesota Rules of Professional Conduct, as court rules, present a question of law that we review de novo). (4) in any case that has been investigated, if the Board member concludes that public discipline is warranted, the Board member may instruct the Director to issue charges of unprofessional conduct for submission to a Panel other than the Board member�s own. The reviewing Board member shall set forth an explanation of the Board member�s action. A summary dismissal by the Director under Rule 8(b) shall be final and may not be appealed to a Board member for review under this section. The Director argues that the foregoing sentence constituted a sufficient explanation because under Rule 8(e), RLPR, the necessary explanation depends on which of the options the board member chooses, and when she determines that it is appropriate to submit the matter to a panel, �the determination itself contains all the �explanation� necessary.� Q.F.C. argues that the plain language of Rule 8(e), RLPR, requires a reviewing board member to provide an explanation for her action, regardless of which of the numbered alternatives she selects from Rule 8(e)(1)-(4), RLPR. He asserts that the single sentence the reviewing board member provided in this case was not an explanation because it shed no light on the board member�s reasoning. Accordingly, Q.F.C. contends, Rule 8(e) was not followed, and his matter was improperly referred to a board panel. Given the plain meaning of Rule 8(e), RLPR, we agree with Q.F.C.�s contention. An explanation is �[s]omething that explains,� and to explain is �to offer reasons for or a cause of; justify.� American Heritage Dictionary 645 (3d ed. 1992). Here, the board member�s single sentence communicated what action she decided to take�that is, to instruct the Director to issue charges for submission to a panel�but the sentence did not offer reasons for or a cause of her action. The language the board member used essentially repeats the directive she is authorized to issue under Rule 8(e)(4), RLPR. As the Director conceded at oral argument, a board member�s �basis for referring [a] matter to a panel is that a board member has reached a conclusion that * * * public discipline [is warranted].� If a board member�s statement of the requisite basis for her action under Rule 8(e)(4), RLPR, constituted an �explanation,� the unnumbered paragraph following part (e)(4) would serve no purpose. We decline to interpret Rule 8(e), RLPR, in a way that renders any part of it a nullity. For the foregoing reasons, we conclude that the board member failed to comply with the requirements of Rule 8(e), RLPR. We now turn to the more difficult question of what effect the board member�s procedural error has on the sanction Q.F.C. should receive. The Director argues that to the extent an error was committed, it should have no effect on the disposition of this matter because Q.F.C. was not prejudiced by the error. More specifically, the Director argues that because the disciplinary process would not have unfolded any differently in the absence of the error, due process was provided. Q.F.C. conceded at oral argument that the disciplinary process may not have taken a different course if the board member had provided an explanation for referring his matter to a panel. But he asserts that (1) a board member assigned to review a complainant�s appeal has significant power in that she can, without consulting the lawyer, unilaterally place an agreement reached by a lawyer and the Director in jeopardy; (2) the Rules on Lawyers Professional Responsibility demand few responsibilities of the board member in return for this power; and (3) in this case, the board member�s failure to meet her responsibility to provide an explanation left him without any understanding of why she decided to place in jeopardy the agreement he relied on for 11 months. [a] fundamental goal of every disciplinary action is protection of the public. Requiring prejudice to an attorney before dismissing an action for unreasonable delay is consistent with that goal. Unless the attorney has been unfairly prejudiced, it would not be in the public interest to dismiss a disciplinary proceeding simply because of a failure to prosecute promptly. Id. (internal citations omitted). Broadly read, N.P. stresses the importance of prejudice when deciding whether a procedural error in a particular lawyer discipline case should affect the disposition of that case. But N.P. is factually distinguishable from the present matter. In N.P., the lawyer refused to cooperate with the Director over a protracted period and raised legal obstacles to the Director�s investigation at every opportunity. Id. at 389-90. He then sought to have various disciplinary charges dismissed on the grounds that (1) the Director allegedly unduly delayed the investigation; and (2) the Director designated the lawyer by name, rather than initials, in a subpoena�a violation of Rule 9(d), RLPR, as it existed at the time. Id. at 392-93. Here, a dismissal of disciplinary charges is not contemplated by either party, and a ruling in Q.F.C.�s favor would simply reinstate the discipline previously agreed to by the Director in lieu of the public reprimand and probation the Director currently seeks. Further, unlike the relief sought in N.P., we conclude that here, the relief granted will adequately protect the public. We conclude that when a Lawyers Professional Responsibility Board member initiates a process that may ultimately invalidate a disposition previously agreed upon by the Director, the board chair, and the lawyer to be disciplined, that board member exercises considerable authority and must comply with the process set forth in Rule 8(e), RLPR. Because that process was not followed here, we believe that under the circumstances of this case, basic fairness favors reinstating the agreement Q.F.C. and the Director reached for two years of private probation. Here, reinstating the original agreement comports with the referee�s apparent intention not to subject Q.F.C. to public discipline in light of the procedural error. At the same time, reinstating the original agreement avoids the administrative complications that the referee�s recommended disposition�specifically, a public reprimand stayed for two years�would generate. We order that effective immediately, Q.F.C. is subject to the terms of the stipulated probation agreement he and the Director originally reached.